“Charles Spurgeon was right when he said: “it behoves all who love the Lord Jesus and his gospel to keep close together, and make common cause against deadly error”. Many are familiar with the famous motto of Rupertus Meldenius now adopted by many denominations, including the Evangelical Free Church of Canada: “In Essentials Unity; In Non-Essentials Charity; In All Things Jesus Christ”. There are many debates in the Church, which have to do with people’s interpretations of particular doctrines. There will always be diversity on some issues, and sometimes believers must agree to disagree on the non-essentials. But there is a foundation upon which they must agree, if they will be able to agree to disagree! Because of its foundational nature, inerrancy is the real issue upon which the unity and vitality of the Church will live or die, and so one’s view of the “trustworthiness of Scripture” became the watershed doctrine of the historic evangelicalism from the Reformation to the present. “the view that when all the facts become known, they will demonstrate that the Bible in its original autographs and correctly interpreted is entirely true and never false in what it affirms, whether that relates to doctrine or ethics or to the social, physical, or life sciences”. This definition guards against knee jerk assumptions and sophistry by giving a balanced but grounded definition. It is only “when all the facts become known” and when considering “the original autographs” and when “correctly interpreted” that the believer may be confident of the trustworthiness of something the Bible “affirms”. Hard work and careful scholarship are needed: “Do your best” Paul instructs Timothy, “to present yourself to God as one approved, a worker who has no need to be ashamed, rightly handling the word of truth” (2 Timothy 2:15 ESV). The “word of truth” or “trustworthy word” yields its truth only to the “worker” who has “done [his or her] best” to “rightly” handle the Scripture. The Reformation confessions clearly view the Scripture as the criterion of all truth, and as “the very word of God”. The Chicago Statement on Biblical Inerrancy has a detailed definition of the word. Perhaps it can best be summarized by the following: “Holy Scripture, being God’s own Word, written by men prepared and superintended by His Spirit, is of infallible divine authority in all matters upon which it touches….Being wholly and verbally God-given, Scripture is without error or fault in all its teaching”. Rene Pache declares that verbal, plenary inspiration is the historic doctrine of the Church and this doctrine “implies that in drawing up the original manuscripts the sacred authors were guided in such a way that they transmitted perfectly, without error, the exact message which God desired to communicate to men”. Thus the Scriptures are infallible, and if “infallible it cannot err; and if it is inerrant, this is because it contains no mistakes”. Perhaps most poignant as a summary is Harold Lindsell’s definition: “the Bible is completely trustworthy”. How do you know that God wrote the book? That is just what I shall not try to prove to you. I could if I pleased, demonstrate it, for there are arguments enough, there are reasons enough, did I care to occupy your time to-night in bringing them before you; but I shall do no such thing. I might tell you, if I pleased, that the grandeur of the style is above that of an mortal writing, and that all the poets who have ever existed could not, with all their works united, give us such sublime poetry and such mighty language as is to be found in the Scriptures. I might insist upon it, that the subjects of which it treats are beyond the human intellect; that man could never have invented the grand doctrines of a Trinity in the Godhead; man could not have told us anything of the creation of the universe; he could never have been the author of the majestic idea of Providence—that all things are ordered according to the will of one great Supreme Being, and work together for good. I might enlarge upon its honesty, since it tells the faults of its writers; its unity, since it never belies itself; its master simplicity, that he who runs may read it; and I might mention a hundred more things, which would all prove, to a demonstration, that the book is of God. But I come not here to prove it. I am a Christian minister, and you are Christians, or profess to be so. Now God is completely and explicitly trustworthy. 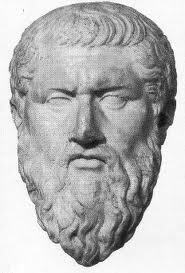 Plato, the Philosopher of Western thought, attributes to God perfect goodness, “he is the highest and most perfect being”. It is impossible to imagine the “highest and most perfect being” as a deceitful and corrupt being. The Bible professes that God is “the truth” (John 14:6) and Psalm 119:160 declares that all his “words are true”. The Christian belief in Inerrancyis fundamentally the belief that God is trustworthy. Your Bible is trustworthy, if its author is trustworthy, and 1 Corinthians 1:9 affirms that the highest and most perfect being “is faithful”. Carl F. H. Henry in God, Revelation and Authority, vol. 4 (Waco, Tx. : Word Books, 1979), 211. -C.H. Spurgeon, ‘The Blood of sprinkling (part I)’, Sermon no. 1888 in The Metropolitan Tabernacle Pulpit: Sermons Preached and Revised by C.H. 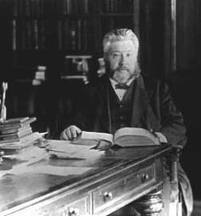 Spurgeon during the Year 1886, vol. 32 (London: Passmore & Alabaster), pp. 121-132 (p. 129), italics original. -C. H. Spurgeon, “Ye are Christ’s.”—1 Corinthians 3:23. -Charles Spurgeon, “Jesus our Lord,” Metropolitan Tabernacle Pulpit (Pasadena, TX: Pilgrim Publications, 1977), 48:558. Italics original. -Charles Spurgeon, Eyes Right, Metropolitan Tabernacle Pulpit (Pasadena, TX: Pilgrim Publications, 1981), 19:356-57.